Rock climbing in the mountain city of Baguio and surrounding areas started in the late 90's, with visiting climbers from Manila sampling the boulders of the Bued River alongside the famous Kennon Road. Initial development began in late 2003 when climbers from then local gym, Northwall, started climbing the boulders of Lamtang River. Since then, with efforts from the locals and help from visiting climbers, several rock trips and countless nights around bonfires led to discovery and development of other areas. Most of the bouldering areas are located on river beds so it might be best to go around late October to May. If you want optimal conditions, December to February is the coolest and driest months of the year with the temperatures dipping to 8 degrees Celsius. The type of rock ranges from smooth river limestone to coarse conglomerate. Expect a lot of pocket pulling and crimping with some occasional friction dependent slopers. Only several of the more popular problems have names and grades. The climbers have stopped naming and grading other problems they have cleaned and established years ago. But don’t worry there are problems for everybody from V-easy to V-hard and projects open for you to try. Take Northern Luzon Express Way all the way to the last toll and transfer to the SCTEX highway. The SCTEX connects to another highway called the TPLEX which in 2016 goes all the way to La Union. Follow the signs along the highway to get to Baguio City. Estimated driving time is 4 to 6 hours. You can take the Victory Liner Bus from either Pasay or Cubao Station. Buses leave on an hourly basis ranging from 445 PHP to 715 PHP per way. Please refer to the following for more details http://www.victoryliner.com/terminals. Estimated travel time is 6 to 8 hours. From the city, take Naguillan Road until the Irisan - Benguet boundary. Landmark is a bridge and a waiting shed; look for a place to park beside the highway. If you see a big concrete dog’s head on the hillside near the bridge, you are on the right spot. From the bridge you can see the boulders on the river. Take the jeepney going to Brgy. Irisan, ask for the one that goes all the way to Lamtang. The terminal is in the Bayanihan building near Burnham Park. The “jump off bridge” is the jeepney’s turning point. Look for a concrete dog’s head on the hillside near the bridge to be sure. From where you are in Baguio, ask directions (from police officers, hotel staff, etc.) on how to go to the Benguet Provincial Capitol in La Trinidad around 6 km. away from the city. Basically, take the Magsaysay Road passing by the Baguio Public Market going to the Slaughter Compound until you enter La Trinidad. Continue driving on the main road until you see the Benguet Provincial Capitol atop the hill at the end of the main highway. Take the Capitol’s driveway going up the right side of the road until the covered court. Take the road to Lower Kesbeng at the fork. Continue for about a km. down the winding road with the river on your right side. You will pass several houses, stop at the point you can clearly see the mountainside on your right; a small, flat parking space that can accommodate three cars. There is a small trail going down the river through the chayote plantation. Beware of a deep drainage hole when you are maneuvering to go back up. Take a jeepney that has a Tomay/Camp Dangwa signboard. Tell the driver to let you get off at the Capitol, walk up the driveway, right side going up until you reach the covered court. Go down the paved trail on the right. You can see the river on the right side of the road. Just follow the trail until you see a hanging bridge and a mini-dam. Cross the bridge and follow the Pipe line until you see the boulders. You’ll soon see that the pipeline has a ladder that leads to a trail down the hill to the river, take that. Head to La Trinidad. Take Halsema Road until you reach the municipality of Tublay, Benguet. Turn left before the tollgate and take the Kibungan-Kapangan Road. (It would be best to ask from people on the road for directions every now and then.) Follow the road until you see the Ambongdolan signage on the left side of the road, turn left then follow the road down until you reach the Ambongdolan Barangay Hall where you need to register and pay 25 Pesos/head for the access fee. 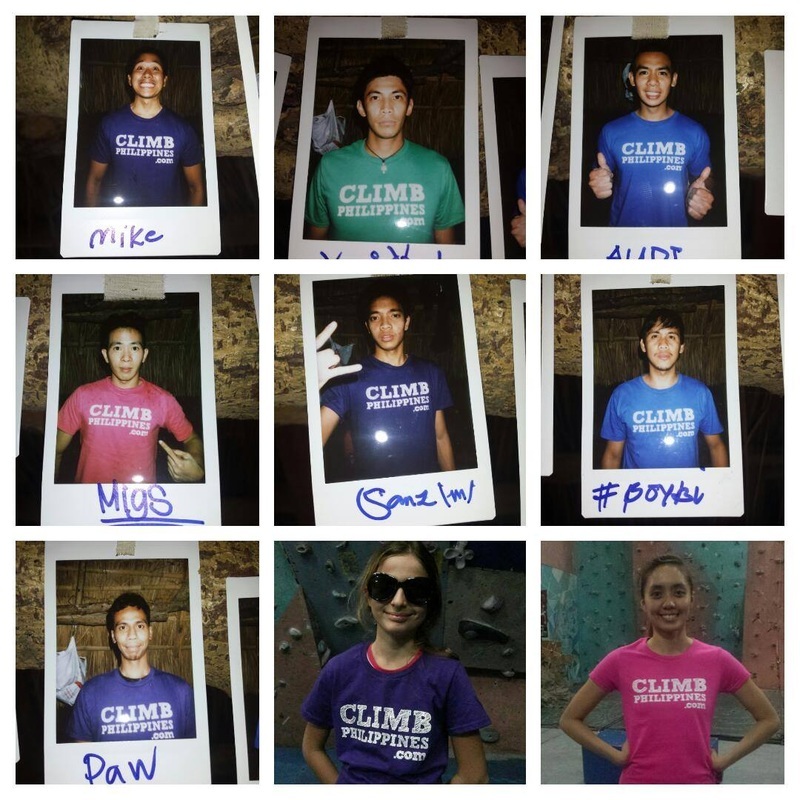 We recommend for you to hire a local guide if you don’t have any Baguio-based climber with you. Getting to Ambongdolan is a bit tricky. There is only one jeepney trip going there which leaves Baguio around 2PM and one trip going back to the city around 5AM the next day. For your convenience, we recommend that you bring your own vehicle or rent a local jeepney instead. ** There are still other bouldering areas near the city that offers a day or two worth of climbing. Just ask the local climbers about these places if you want to. Baguio City is a tourist friendly city, which is why there are many places that offer food from small eateries and fast food joints to the more expensive restaurants. Worth mentioning is Chef’s Home near the Baguio Town House and The Mansion on your way to Mines View which primarily serves Malaysian fare prepared by a chef who worked for a famous hotel outside the Philippines. Just a few minutes away from Chef’s Home across the Wright Park is the Ketchup Food Community, a small and relaxing place hosting several restaurants offering different cuisines from Filipino, Malaysian-Indonesian and Thai to the usual American. A favorite of many is the Good Taste restaurant that serves a Filipino-Chinese menu. This place is perfect for groups on a budget. Food is for sharing and affordable. When it comes to accommodation, there are transient houses, inns and hotels to choose from. You can always research online and make a reservation in any place you prefer. The visiting climbers on a budget usually book a stay in Callalily as transients sharing a room as well as the local Y.M.C.A. For those who want a more private and comfortable stay and a little more cash to spend, some climbers stay at Le Monet or The Manor in Camp John Hay or Azalea Residences in Leonard Wood Road. For visitors of any walk of life, there will always be food and accommodation for your satisfaction. Bring more than enough crash pads. One or two can get you to most of the problems but there will never be enough for your safety. Be mindful of the weather. Most of the areas are on the river bed so all are prone to flashfloods. Always bring a jacket for a sudden drop in temperature or rain. Bring bug and insect repellant. Bring trash bags for your rubbish and dispose of them in your home or the trash bin in the city. Get in touch and be acquainted with the local climbing group. They can answer and offer suggestions about any query you have.